GridLevel is a full service firm with the flexibility to meet all of your web, marketing and digital needs. Having a website as unique as your company is import when you want to stand out from the crowd. GridLevel will create you a beautiful, custom website that is also just as powerful as you need it to be. Check out our portfolio for some of our current works. Keeping up to date with the current trends and happenings on social media has never been more important. Let us help you stay active and engaged with your online clientele via your Facebook, Twitter or other social media account. 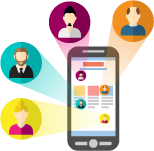 Reach a large and specific audience with our targeted advertising lists and mailing campaigns. Save time by contacting only those in the industry or specific group you are looking to reach and get the word out about your company to the viewers who are important to you. If you can think it up, we can build it. GridLevel specializes in building custom web based solutions, no matter the size. Whether you’re a mom-and-pop shop or a large, corporate entity; GridLevel has the answers for all your web development questions. The developers at GridLevel have a strong understanding of the Drupal Content Management System. 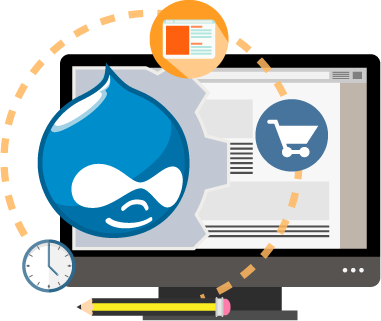 Whether it’s a full site build or a custom module or theming solution, let us use our Drupal expertise to make your website powerful. Need to reach your audience via paper or postcard mailers? We can help with that as well. Whether you are providing your own or need to use one of our industry specific client lists; GridLevel handles everything from printing to mailing when it comes to bulk paper advertising. In addition to creating amazing custom websites, GridLevel also has premium designers on call for all of your graphic design needs. Create a new logo and business cards or rebrand your entire company; GridLevel can help you do it all. Whether you are an individual realtor or a real estate firm, make your properties available to your potential buyers with an advanced, custom website. Fully embeded property browsing & searching available as well as social media integration. Need a web or media based service you don’t see listed above? Contact us today and let us help create a project that’s right for you..